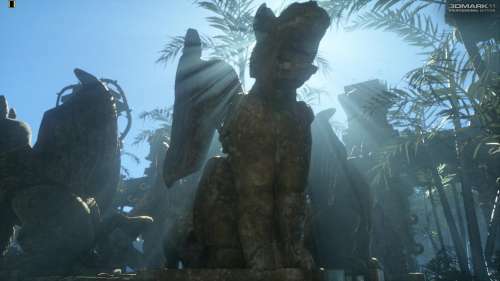 OpenGL tests have been finished on Unigine Heaven, what a better transition than starting Direct3D tests with Unigine Heaven 2.1, this time using the Direct3D 11 render path. Settings: 1920×1080 fullscreen, tessellation: normal, shaders: high, 4X MSAA, 16X anisotropic filtering. 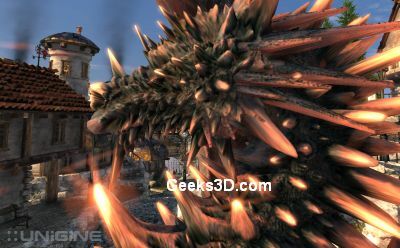 3DMark11, Furturemark’s new Direct3D benchmark (see here for more details: 3DMARK11: New Gamer’s Benchmark for DirectX 11 is There (+ Big Pictures)), has been added in Geeks3D’s benchmarks suite for graphics cards reviews.